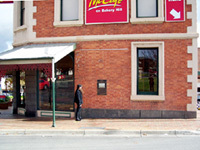 rallying ground for Australian freedom. with the assistance of The Vera Moore Foundation. pregnant with the destiny of Victoria and consequently of Australia. 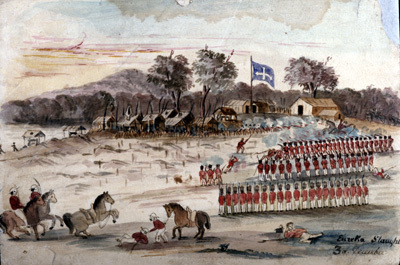 Reproduced with permission of The Art Gallery of Ballarat. to the Eureka flag, the Southern Cross. and defend our rights and liberties. their delegates and Governor Hotham and angrily rejected any further conciliatory moves. 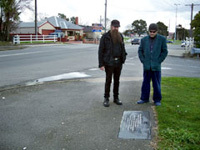 of Ballaarat citizens, met in 1854 to compose their Charter. Manhood Suffrage and Full and Fair Representation. of the Ballaarat Reform League. to enforce the unpopular licence tax to dig for gold. that will make the miners content. Irishman, they swore by the Southern Cross to hazard all in defence of their rights. Protest had been turned into resistance, which the authorities interpreted as insurrection. an unnecessary battle, for which the government was condemned. 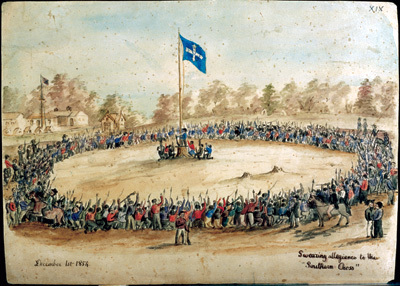 the peaceful goal of the Reform League and had hallowed its Southern Cross flag. took precedence over reports about the Crimean War. including France, Ireland, Italy and the United States of America. As often happens, the vanquished were the victors in the end. An eyewitness view by a young Canadian digger. 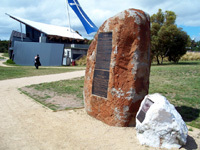 Read the supporting essay "The Eureka Stockade: Gateway to Democracy"